The 2015 summer excavations of Petrich Kale, a fortress located on high rock plateau with an area of 30 decares (app. 7.5 acres), have been funded with BGN 10,000 (app. EUR 5,100) by the Bulgarian Ministry of Culture, the Director of the Varna Museum of Archaeology (Varna Regional Museum of History), Prof. Valentin Pletnyov, has told Radio Focus Varna. The Petrich Kale Fortress (not to be confused with the modern-day town of Petrich in Southwest Bulgaria) has a long and exciting history. It was established in the Early Byzantine period, in the 5th century AD, and was destroyed by the end of the 6th century. It was rebuilt in the 11th century, and became a major stronghold in the Second Bulgarian Empire (1185-1396). In 1154 AD, medieval Arab geographer Muhammad Al-Idrisi wrote that Petrich was a “thriving small town" to the west of Varna. The Petrich Kale Fortress was ultimately destroyed by the Ottoman Turks in 1444 AD, three days before the Battle of Varna in which they defeated the second and last Christian Crusade of the King of Poland and Hungary, Wladislaw III (also known as Varnenchik because he found his death in the Battle of Varna). Archaeologist Valentin Pletnyov has revealed that the team of the Varna Museum of Archaeology expects to excavate fully an early medieval church whose walls and murals were reached during the 2014 excavations. So far the archaeologists working in Petrich Kale have unearthed part of the fortress walls and the central gate. “After the completion of several seasons of excavations, the fortress could be exhibited by Avren Municipality as an attraction. The view from the fortress is exceptional. It is a huge rock towering above the Devnya Lake," Pletnyov says. Despite the meager government funding (it was BGN 15,000 (app. EUR 7,200) in 2014), last year the Varna archaeologists discovered at Petrich Kale a large number of artifacts from the 14th century AD, such as arrows, rings, belt decorations, iron artifacts, and coins, including silver coins from the time of the Crusade of Polish and Hungarian King Wladislaw III against the Ottoman Empire. The medieval Byzantine and Bulgarian fortress Petrich is located 4 km north of the town of Avren, Avren Municipality near the Black Sea city of Varna, in Northeast Bulgaria (not to be confused with the modern-day town of Petrich in Southwest Bulgaria); it is also 1 km away from the Razdelna railway station. It is located on a high rock plateau towering at up to about 100 meters, on a territory of about 30 decares (app. 7.5 acres). It had an inner and outer fortress wall as well as stone stairs carved into the rock on the north side of the plateau. Archaeological exploration indicates that the Petrich Kale Fortress was first established during the Early Byzantine period, in the 5th-6th century AD, but was destroyed towards the end of the 6th century AD. It was rebuilt in the 11th-12th century, the period when Byzantium conquered the First Bulgarian Empire (632/680-1018 AD), and was a major fortress of the Second Bulgarian Empire (1185-1396 AD) during the 13th-14th century. The Petrich Kale Fortress was completely destroyed in 1444 AD by the Ottoman Turks who had conquered all of Bulgaria in 1396 AD, after the Second Crusade against the Ottoman Empire led by Wladislaw III, King of Poland, Hungary, and Croatia, who perished in the Battle of Varna (which is why he is also known as Varnenchik – Warnenczyk in Polish). The Petrich Kale Fortress was destroyed by the Ottoman Turks on November 7, 1444, three days before the Battle of Varna on November 10, 1444, in which the Christian Crusaders were defeated. Thus, the Petrich Kale Fortress is connected with the history of the Central European states Poland, Hungary, and the Czech Republic. The Petrich Kale Fortress was first mentioned in written sources in 1154 AD by medieval Arab geographer Muhammad Al-Idrisi who described it as a “small thriving town" west of Varna. Later it was mentioned by Byzantine poet Manuel Philes (ca. 1275-1345 AD) in connection with the military campaign of Byzantine general Michael Tarchaeneiotes in Northeast Bulgaria in 1278 AD. It was also mentioned in documents of the Ecumenical Patriarchate in Constantinople in 1369 AD, and in numerous accounts of the Second Crusade of King Wladislaw III against the Ottoman Turks. 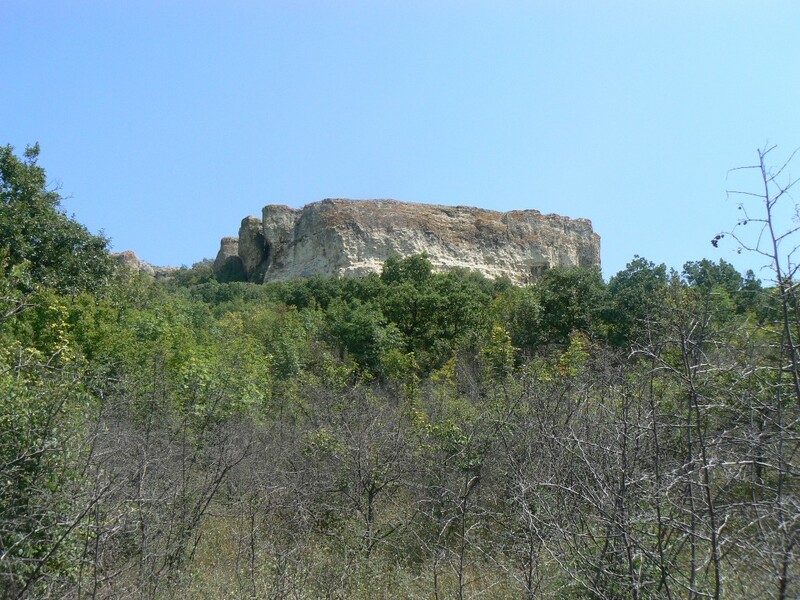 The Petrich Kale Fortress near Varna was excavated by Bulgarian archaebologists in the 1970s; in recent years, the archaeological excavations were resumed in 2010 by the Varna Museum of Archaeology (Varna Regional Museum of History).